When Danny Ainge traded for Jae Crowder, Ainge knew he was getting a special player, so much so that Crowder has developed into one of the NBA’s Most Improved players this season. Last season when Crowder was traded to the Celtics, many fans were skeptical of the move. However, there was a good amount of fans who believed in Danny Ainge’s ability to trade for someone who could make an immediate impact. Luckily for Celtics fans, Crowder fit right into Brad’s system and he has continued to develop as a 25-year old forward this season. Since coming to Boston, Crowder has proved that scouting report to be true. Nonetheless, this season he has added a solid offensive game to his repertoire. In crunch time, Brad Stevens has continuously drawn up plays for Crowder in order to seal off wins, and needless to say; Crowder has risen to the occasion. While playing in Dallas, Crowder saw limited minutes, ultimately producing minimal for the team. Ahead of him in the depth chart were proven NBA players like Chandler Parsons, Al-Farouq Aminu, and Richard Jefferson. Unfortunately for Dallas, they never gave Crowder a chance. Instead, Danny Ainge and the Celtics saw great potential in Crowder and they wanted to give him a shot in Boston. Crowder has become one of the most valuable players on the Celtics, and that has certainly come to fruition over the last couple weeks without him on the court. Since his injury, the Celtics have lost to teams such as the Pacers, Thunder, and Raptors. It was clearly evident that the Celtics missed Crowder during that tough stretch, mainly because of his ability to defend the perimeter. Nonetheless, what the Celtics have probably missed most about Crowder is his leadership, his grit and grind mentality, as well as his toughness. In a career that started off in Dallas with few opportunities, it’s clear that Crowder has found a home here in Boston. He has become the heart and soul of this team, and he might just be the biggest reason why the Celtics are where they are in the standings. While he may not receive the title, “Most Improved Player” by the NBA this season, Crowder will certainly be recognized as the “Most Improved Player” by the fans in Boston. 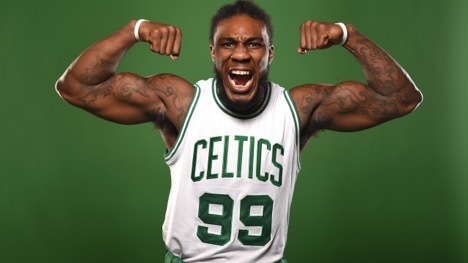 What has impressed you most about Jae Crowder this season? Will The Milwaukee Bucks Make The NBA Playoffs in 2013?